Hip Baby Blog: Cloth diaper month! It's that time of year again! For the month of February Hip Baby would like to offer you some great deals on cloth diapers and covers. 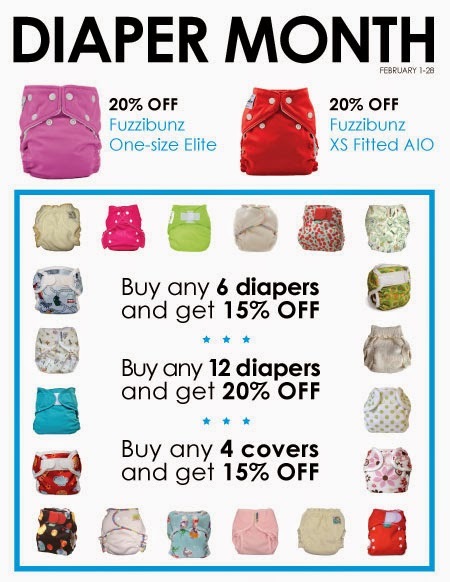 When you purchase any 6 diapers (1 set of prefolds = 1 diaper) you get 15% OFF, buy any 12 and get 20% OFF, and buy any 6 diaper covers and receive 15% OFF. The volume discounts are offered in-store only.